A popular design from the Porta Romana lighting collection, the Small Phoenix Wall Light features a sculptural silhouette of hexagonal plates. Inspired by Phoenix feather’s, this striking wall light plays with the idea of industrial materials combined with shapes found in nature. 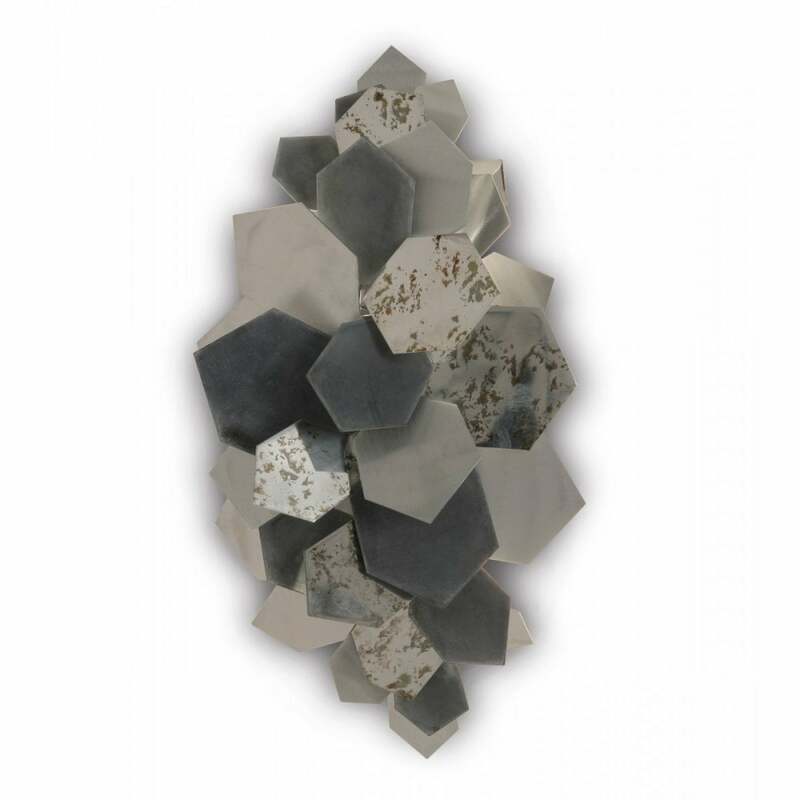 Varying plates of polished, patinated and matte Zinc cluster together to create the layered design. Due to the nature of the design, the framework allows for a certain degree of individual and free movement of the plates. Although small in size, Phoenix will make a statement in a contemporary interior scheme. Pair with the matching ceiling from the Phoenix range for maximum impact. Also available in a copper, tri-colour finish.